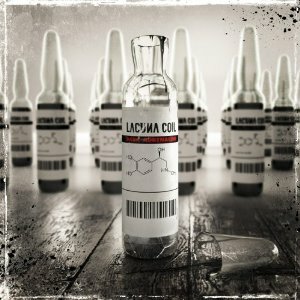 Hall of the Mountain King: Review: Lacuna Coil, "Dark Adrenaline"
As Lacuna Coil’s sound has drifted more and more commercial, my opinion has been here and there on them. I love Comalies, but the bouncy, nu-metallish stuff of Karmacode didn’t connect with me. The catchy melodies of Shallow Life, though, managed to win me over despite the fact that it was easily the poppiest release in the band’s catalog. Dark Adrenaline blends all of those elements. There’s some of the bouncy stuff, there are some very commercial numbers, and there’s a little bit of that goth rock slipping back in around the edges. Things start well. First single and first track “Trip the Darkness” is probably the best song Lacuna Coil has recorded since Comalies. It opens with a heavy riff, and the vocals are heavy on Cristina Scabbia and light on Andrea Ferro – which was a complaint with some of the songs on Shallow Life. When you’ve got a voice like Scabbia in the band, why is she being used so often to accentuate Ferro’s less than impressive vocals? There’s a nice hook on the song, and there’s a little darker, goth feel. If the rest of the record could live up to that song, Dark Adrenaline would be awesome. “Against You” provides another rocking riff and verse, but the chorus doesn’t make a lot of sense. It’s a soaring bit, and instead of giving it to the soaring voice of Scabbia, it goes mostly to Ferro. There’s a very tasty solo on the track that lifts it back up, and the song ends on a strong note. So far, so good. “Kill the Light” keeps things headed in the right direction. There’s a little darkness, a great vocal from Scabbia, and they use Ferro where he’s most effective on a more uptempo and aggressive chorus. I love the little exotic flair right after the second chorus, too. The softer Ferro interlude, not so much, but it all works together. At this point, I’m feeling cautiously optimistic, but I’m still holding my breath for it to fall apart. “Give Me Something More” is the first drop off, giving us a couple of dance beats and playing more to the Shallow Life sound. Still, it’s not a horrible song. “Upsidedown” brings back the nu-metal sound and is pretty meh. I don’t hate it, but I could live fine without it. A fairly pedestrian love song follows in “End of Time,” and more nu-metal stuff on “I Don’t Believe in Tomorrow” announce that we’ve officially hit a lull. “Intoxicated” injects some energy back into the record, though. 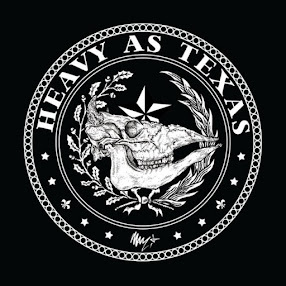 There’s a huge, grooving riff on the track and Scabbia’s belting again. There’s a little of all the elements in this one, and I’ve got a smile on my face and the stereo cranking again. “The Army Inside” is a driving rocker and while not spectacular, I like it. There’s a very 1980s-flavored guitar solo that appeals to my nostalgic side. Now, we get to the track that I’ve been both anticipating and dreading – their cover of R.E.M.’s “Losing My Religion.” I knew from the time that I saw it in the tracklisting it was likely going to be either awesome or awful. In reality, it’s neither. I’ll grant that I have a slight aversion to the song since I heard it every time I turned around as a teenager, but the Lacuna Coil version really moves me neither way. The final two tracks are a split. “Fire” is an angry song without enough anger behind it. Instead it goes with the poppier sound of Shallow Life. But “My Spirit” is the ballad I was hoping for. It’s dark, it’s gothic and there’s a seething anger lurking just beneath the surface. The growling guitars are muted, but they create a great tension under the verse, and I like Ferro’s delivery there, too. I don’t even mind the Italian spoken word part. It ends the album on a very good note. When guitarists Cristiano Migliore and Marco Biazzi get turned loose, their stuff is great. Scabbia, in my opinion, remains the best female voice in the metal world. The record is tight, and it sounds fantastic. Granted, there are a few mediocre tunes and the R.E.M. cover, but there’s nothing here that I dislike and the record has some of their best work in a decade. Overall, Dark Adrenaline is a winner, and it’s easily Lacuna Coil’s best work since Comalies.